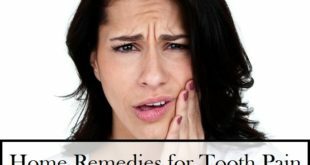 Home / Health / How to Stop a Toothache Naturally? In this article, we will discuss ways to stop a toothache. When tooth pain hits, all we want to know in that moment is how to stop a toothache pain fast. Toothaches mainly occur as a result of tooth decay. The bacteria in the mouth cause the cavities which thrive on sugary and starchy foods that cling to the teeth and gums and then these cavities cause tooth pain. 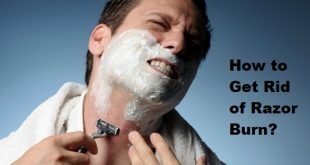 But there can be other causes as well- filling thatвЂ™s come loose, a cracked tooth, an abscess (a pocket of infection at the gum line), or a sinus condition. Everyone who has suffered from a toothache knows how painful it is. A toothache can be felt in just about every part of your body. The pain of a toothache may range from a mild ache to excruciating throbbing pain in the mouth. ItвЂ™s important to have a proper oral examination to figure out the exact cause of your toothache, but in the meantime, natural home remedies can help ease the discomfort and stop a toothache until your dental appointment. These remedies are easy, safe to use and can be applied to almost anybody who is suffering from a bad toothache. Discomfort when brushing or flossing. Red or swollen gum tissue. 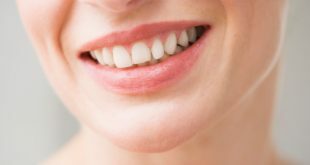 Pits or dark spots on tooth surface. Puss-filled bump around the base of the tooth. These natural spices have antibacterial, anti-inflammatory, antioxidant and anesthetic properties that help alleviate tooth pain and fight infection helping to stop a toothache at the earliest. ItвЂ™s been known that cloves help to numb the nerves, thanks to its primary chemical compound: Eugenia, a natural anesthetic present in them. Clove oil is easily available as well and has been used for a lot of bodily problems since ages. 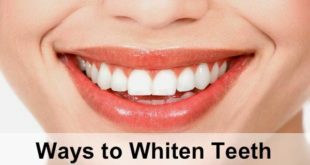 Moreover, it will also help to give your mouth a nice smell if you have been suffering from any foul smell because of the toothache. You can use cloves for all kinds of dental pain, including cavities, mouth ulcers, and sore gums; thatвЂ™s one reason why it is present in all dental products as an active ingredient. Here, just take a small amount of natural clove oil, and rub it right on the area very gently. You can also mix the clove oil with an equal amount of coconut oil and then use that mixture to rub it right on the area for teething babies. Vanilla has a calming effect. Due to the presence of alcohol vanilla helps in killing the bacteria that cause toothache whenever it happens. Vanilla extract is another popular home remedy for stopping a toothache as it helps numb the pain and provides you instant comfort. To benefit from vanilla, Dip a cotton swab in vanilla extract and dab it on the affected area. Repeat at least two-three times a day. You may have to do it for a few days till your toothache gets treated completely with this remedy. However a lot of people prefer this remedy simply because of the good aroma and taste of vanilla. It instantly refreshes you and helps to give your mouth a sweet smell as well. Make sure you are using vanilla extract here rather than vanilla essence which is famously used for baking. Garlic has antibiotic and other medicinal properties that can be very effective in reducing the pain. This wonderful food product can also provide immense relief from toothache almost instantly. What makes it so effective for healing is a compound known as allicin вЂ“ it offers a powerful antibiotic effect which is released when garlic is crushed, providing relief to the affected area itвЂ™s applied to. It also helps to fight the infection from the inside, as there is likely to be a significant amount of inflammation and swelling and makes up as a really good home remedy for stopping a toothache naturally. Tea tree oil comes in handy when you want to get rid of toothache. 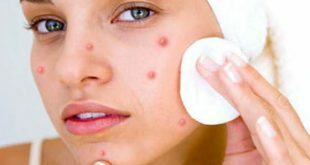 It is not just good for acne and blemishes, but its other therapeutic properties have done a lot of good for people over the years. For this, just take a glass of water and put a few drops of tea tree oil in it. Now use this as a mouthwash at least 3-4 times a day. This solution helps to remove the bacteriaвЂ™s and also helps to make you feel refreshed. 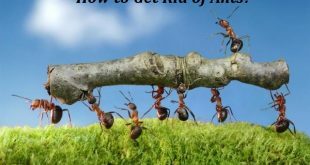 A really effective home remedy for toothache, even doctors highly recommend it as one of the best ways to maintain excellent oral hygiene and to get rid of toothache at home. Pepper is anti-bacterial and salt reduces swelling and aids in healing. A mixture of these two ingredients is wonderful when a tooth becomes extremely sensitive as both the ingredients have antibacterial, anti-inflammatory and analgesic properties which help a lot while suffering from a toothache. 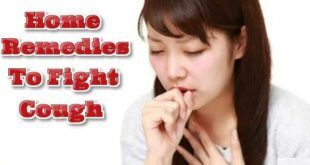 This remedy is a great home remedy to stop a toothache quickly and will give you a lot of relief from the throbbing pain and the hardness you feel in the tooth. When you use asafoetida, it destroys the bacteria that cause toothache and relieves pain instantly. It is also easily available in our kitchen and therefore it is easy to use this product when suffering from a toothache. Dental problems such as toothaches and bleeding gums can be treated at home with the use of asafoetida and this is a proven fact. For instant relief simply fry some asafoetida in clarified butter and then use it directly on the tooth cavity for some time. Alternately add a pinch or one-half teaspoon of powdered asafetida to two teaspoons of lemon juice and then warm it slightly. Now take a cotton ball, soak it in the solution and apply this mixture over the tooth cavity. For quick relief from the pain, this is ideal. 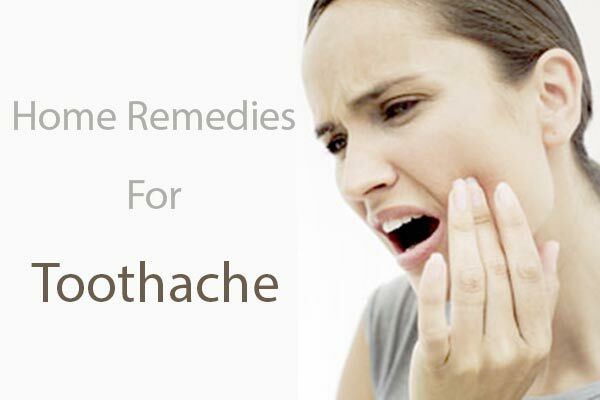 It is a great home remedy to stop a toothache easily and will give you instant relief. Press the skin just behind your outer ankle bone; hold for about a minute. Apply pressure firmly without pressing too hard by using your fingertip. Use your thumb to press the point on the back of your other hand, where the base of the thumb and index finger meets. For about ten minutes apply moderate pressure here. Grasp the toenail area of your second toe of the corresponding foot using your thumb and forefinger. Now go to the side of the toe thatвЂ™s furthest from the big toe and apply moderate pressure there. Hold for one to two minutes, or until the pain has been eliminated. This wonderful spice can effectively stop pain because it possesses strong antiseptic, analgesic and antibacterial properties. It seems there is almost nothing that this amazing herb canвЂ™t do. This remedy has long been used against tooth and gum infections as well as excruciating abscesses in many cases. In addition to all of its many health benefits, itвЂ™s long been used as a natural treatment for toothaches and helps to stop a toothache effectively. Here you need to make a paste by adding a teaspoon of turmeric powder into a small amount of water. 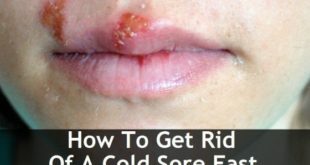 Now apply the paste into your mouth on the affected area using a cotton ball. One can also mix it with raw, organic honey, which offers its own powerful antibacterial properties, for added benefits and taste, especially for kids. Thyme is quite effective for pain relief and warding off tooth decay and gum disease because it contains antifungal, antiseptic and medicinal properties. 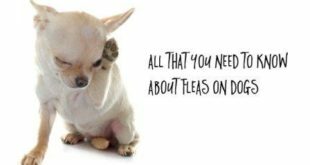 It has been proven scientifically to offer some of the strongest antimicrobial properties of all essential oils. Just make sure you chew it on the opposite side of the mouth so that the affected tooth is not used. 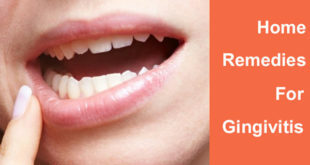 It helps to reduce pain as well as help to heal bleeding gums because chewing the leaves helps to bring out its juices. However, take precautions as it could worsen the problem if the leaves get into the tooth. Another option is to dilute a few drops of thyme essential oil with a carrier oil like olive oil, and then gargle with it. This helps to soothe the ache and fight infection and helps to stop a toothache really fast. It is one of the most effective remedies for stopping a toothache naturally. Rinse your mouth with a tincture of myrrh made by simmering one teaspoon of powdered myrrh in two cups water for 30 minutes. Strain and allow it to cool down. 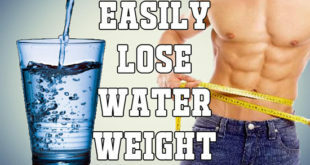 Use a teaspoon of the tincture that has been combined with half a cup of water to rinse your mouth. Do this five to six times a day to stop a toothache really quickly. ItвЂ™s a go-to remedy for toothaches because itвЂ™s fragrant and has incredible antibacterial properties. This natural product comes from the trees.В You can buy it in most health food stores. It cuts like a natural astringent and helps with inflammation besides killing the bacteria effectively. 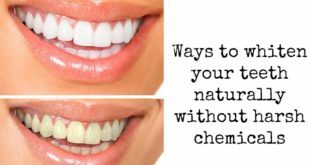 Herbalists recommend using them in paste form to maintain good oral hygiene as theyвЂ™re known to reduce gum inflammation and leave breath fresh and clean. Fresh guava leaves can also alleviate toothache, thanks to their anti-inflammatory, analgesic and antimicrobial properties. It is widely considered as a really good home remedy to stop a toothache faster and helps to alleviate the pain besides treating the problem from the root cause. Peppermint works because menthol, a KOR agonist that naturally occurs in mint, is known as an effective pain blocker, desensitizing an area through the cold menthol receptor. ItвЂ™s important to know that peppermint offers natural numbing properties that can bring relief to an aching tooth much like the cloves. One of the easiest ways to use it is peppermint tea bag form. In order to benefit from this remedy, place a peppermint tea bag in the refrigerator or freezer until its cold (unless youвЂ™re cold sensitive вЂ“ in that case, skip this part). Then, apply the tea bag directly onto the affected area for about 20 minutes. This is a really wonderful home remedy to stop a toothache and will help to ease the pain to a great extent. You can also use peppermint essential oil here, just add a few drops to a cotton ball and place it onto the affected area at least for 5-8 minutes twice a day. One old time remedy that you should not follow is to place an aspirin against the sore tooth.В Aspirin is actually an acid (acetylsalicylic acid to be exact) and placing it directly against your gums or teeth will cause corrosion of your teeth and acid burns on your gums. Call your local hospital emergency roomвЂ“chances are they have a dentist on call that can treat you (for a fee of course), if the pain is unbearable and thereвЂ™s no dentist available. If the side of your face is in severe pain and it feels like youвЂ™re going to lose your mind (IвЂ™ve been there, done that)вЂ“it could be a sinus infection or an allergy that affects your sinuses rather than a problem tooth (even though it definitely feels like it).Try taking a decongestant or if that is not available, a shower set on the hottest setting may help clear your sinus cavities. Until you get to a doctor this will help you. 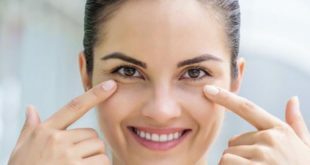 Chances are a prescription antibiotic is what youвЂ™ll need to clear up the sinus infection. Please donвЂ™t wait to get it taken care of if it is a sinus infection!В I have permanent damage to my left eardrum from a sinus infection that became so congested it literally burst my eardrum as a pressure relief valve. 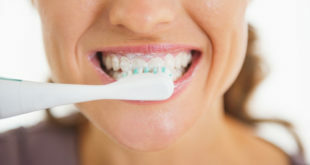 Try gently brushing your teeth and flossingвЂ“this might bring some relief. 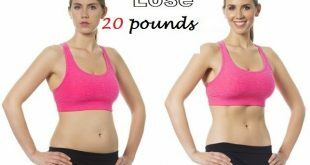 Next How to Speed Up Your Metabolism?